We pledge to continue work diligently and unselfishly in the interest of all of us who have been called upon in a very personal way to share in the "last full measure of devotion” to our country and mankind. To advance and carry out the purposes for which we originally banded together. 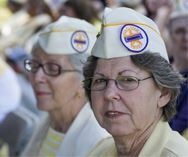 To seek nationwide recognition of our organization, which provides a unique service for the service widow/widower not available from any other organization. 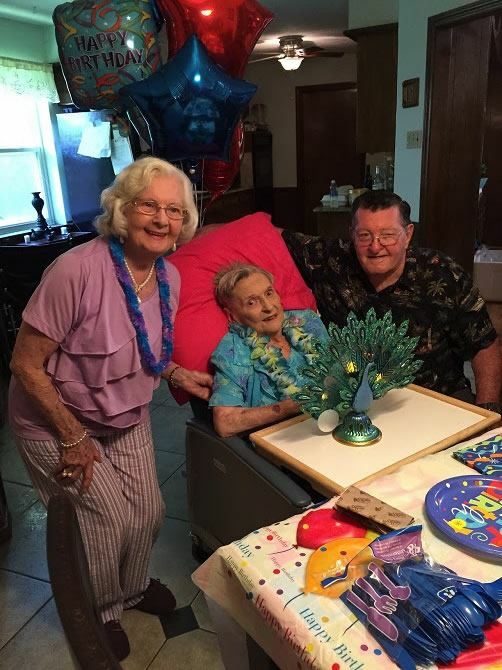 GSW's Founder, Marie Speer, will be celebrating her 98th birthday on May 9, 2019. 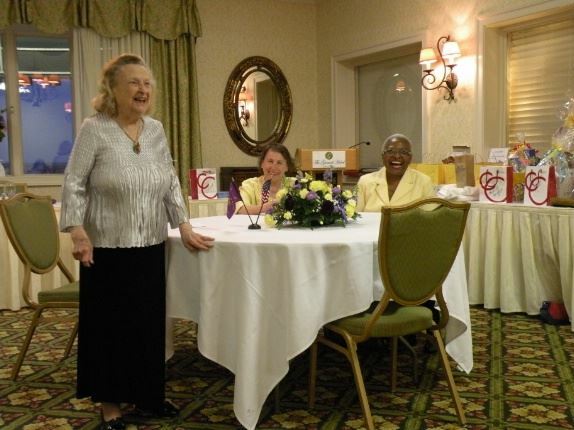 She is pictured to the left at her 96th birthday party in 2016. The family sends their love to GSW Families. 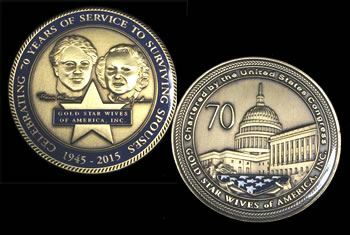 Below is the specially designed commemorative coin created for Gold Star Wives' 70th Anniversary in 2015. The coin bears former First Lady, Eleanor Roosevelt, and GSW Founder, Marie Speer. The coin is for sale in our Supply Store. Click or touch here to be transferred to the store.